Arkane Studios are back once again with the sequel to their 2012 hit, Dishonored. Many gamers are waiting with heavy anticipation for the game’s release, and are soaking in every last detail released on the upcoming action-adventure stealth-based game. Game Director Harvey Smith took to Youtube to give a full Q&A that answered many fans burning questions about the game, including changes that’ll be made when compared to the first Dishonored. You can watch the full 42 minute session below to see if any of your personal questions made it to the video. Bringing back a feature from the first Dishonored, Arkane Studios are bringing back the Chaos element of the game, along with a few twists. For those of you who don’t know what Chaos is, it’s an in-game feature that determines the actions of characters within the game, along with the amount of guards in each level including the strength of each guard. The Chaos level also controls other elements in the game, such as the amount of rats and weepers that’ll be in a specific level. The Chaos level is affected by the number of lives you take, and for the maximum level of Chaos to be achieved, players would have to slaughter over 20% of the population in any given mission. Dishonored 2 will feature a brand new Chaos system, which will dive even deeper with how player’s actions affect the world around them, and even the story itself. Actions such as supporting certain characters, deaths you caused and more will all trigger different events, which in turn gives the game a great replay value. Like the first game, Chaos will also control the number and strength of the guards, and will also determine the pervasiveness of the citywide blood fly infestations. At the start of each mission, the characters surrounding you will have different levels of morality. Some characters will most certainly bring down hell upon you should they meet their end by your blade. However, there will be some characters that absolutely need to have their bodily fluids drained from their bodies, and killing them will have a minimal effect on the world around you. Another returning feature will also be receiving changes this time around. The developers at Arkane have decided to make sure the Heart, a tool gifted to Corvo in the first game by the Outsider, has more use beyond being a glorified metal detector for supernatural objects. Expanding upon its secondary use of providing the player with information about specific people and the world around them, the Heart will now tell the player about the morality of characters, and whether or not they play any sort of role of interest to the player that should delay their possible impending doom by the player’s hand. It's going to be interesting to see how players utilize the changes to the tools and gameplay mechanics to their favor when the game releases. Arkane Studios is looking to expand on the options players have, and it seems they're going in the right direction. Be sure to check out the video to learn more about what's coming to the game! 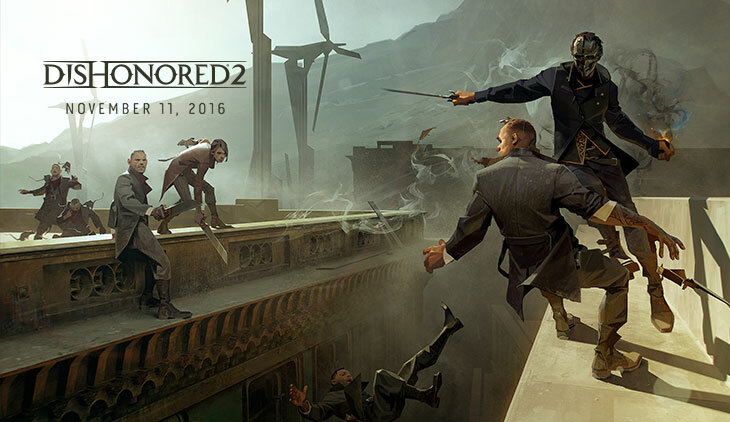 Dishonored 2 will be available for PC, PlayStation 4 and Xbox One on November 11. The first gameplay trailer will be showcased at Bethesda’s E3 conference on June 12, starting at 7PM PST. ASAP SAVAGE, Visionary, Noobert and 4 others like this.